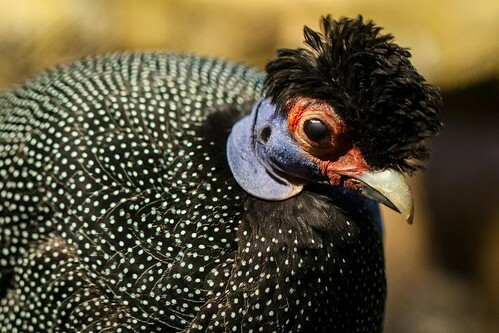 The Kenya crested guineafowl’s plumage is dark gray to black with whitish spots. 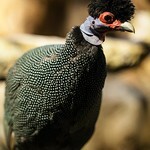 Its most recognizable feature is the mop-like crest of black feathers on its head. 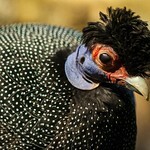 The rest of the head and neck are bare, with red skin around the eyes and bluish skin elsewhere. Adults average 20 inches in length from head to tail. Common. 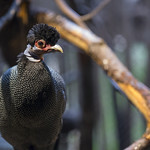 Lincoln Park Zoo cooperatively manages crested guineafowl populations with other institutions in the Association of Zoos and Aquariums. 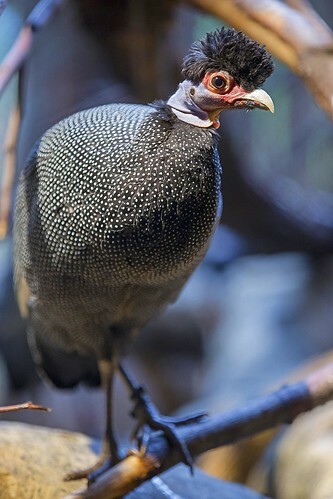 Crested guineafowls feed on seeds, fruits, roots and insects. 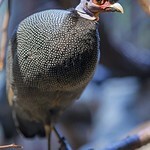 Kenya crested guineafowl live in flocks of about 20 most of the year. 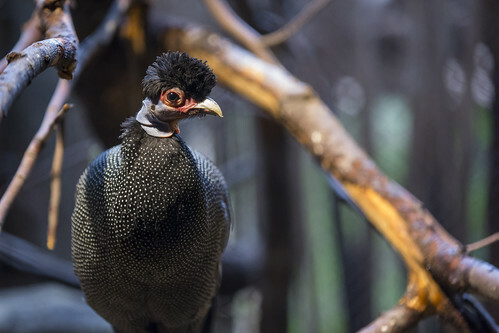 Long-lasting monogamous pair bonds develop during breeding season, which lasts from April to June. 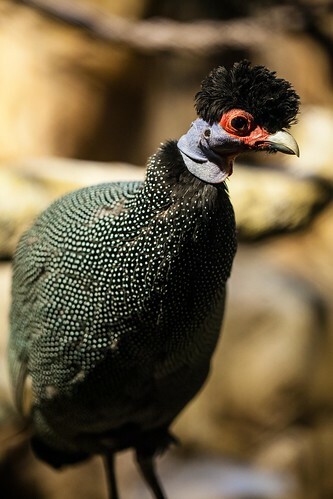 Courtship displays include males darting around in front of females and spreading their wings. Ground nest sites are often located in dense cover. Both parents tend and actively guard their young until the latter are well grown. Chicks are born with white-stripe markings from neck to tail.